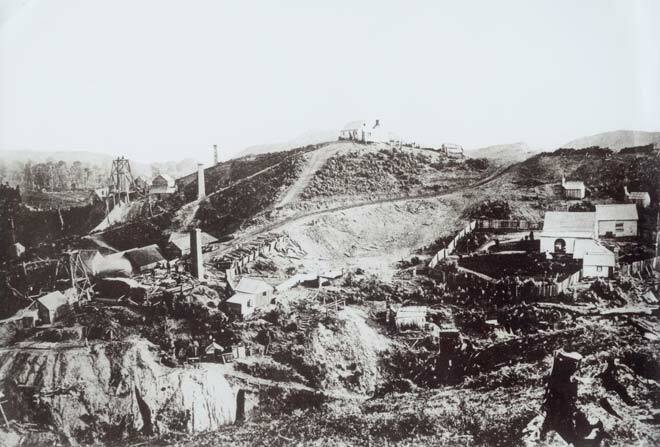 New Zealand’s first two hard-rock gold mines are visible in this 1860s view of Driving Creek, Coromandel Peninsula. The Kapanga mine, in the foreground on the left, produced some 71,454 ounces of bullion (gold and silver) over the next 50 years. Nearby Scotty’s mine, on the ridge at upper left, was a financial failure.